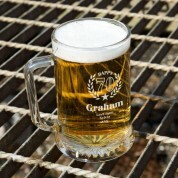 Any beer lover turning 70 will appreciate this glass tankard to enjoy their celebratory drinks in! 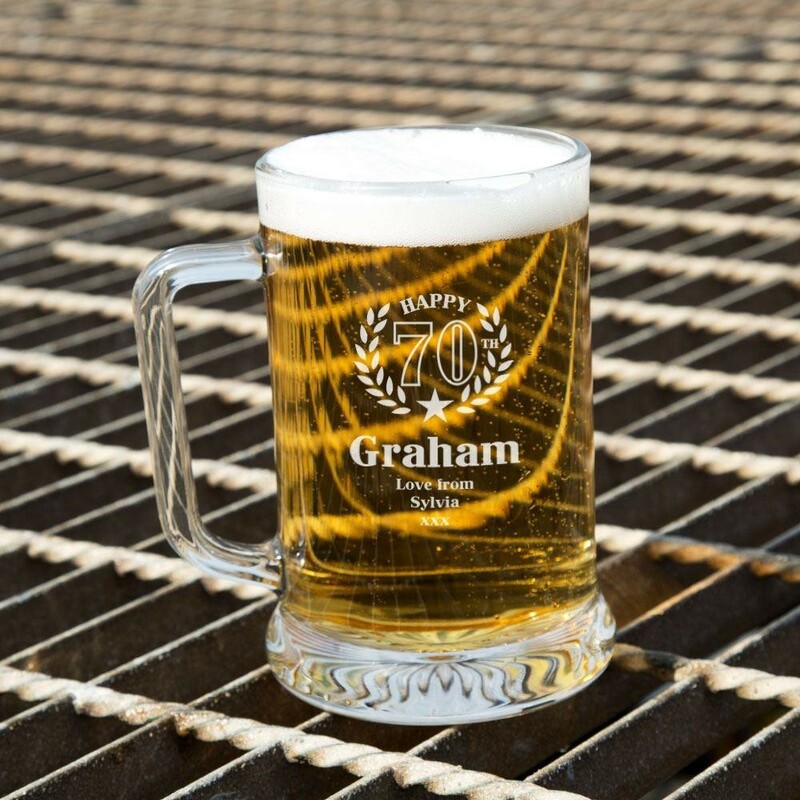 Our sturdy glass is engraved with a classic wreath design. 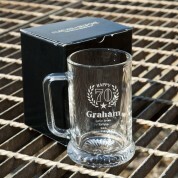 The message simply reads: “Happy 70th Birthday”, followed by the recipient's name in a bold font and a short with love message of choice. The traditional design is made complete with a small star outline. 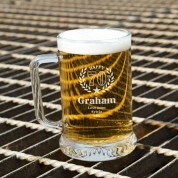 The perfect keepsake for a loved one to enjoy those celebratory birthday drinks! When it is not in use, it can be displayed anywhere in the home – the simplistic design will suit any décor. An extra personal gift for such a special occasion.